WHAT GEORGIA CITIES DO YOU SERVE? In Marietta, our Appliance Repair Companies are located in the area within and beyond including Atlanta, Buckhead, Sandy Springs and Roswell among others. DO YOU OFFER OVER-THE-PHONE ASSISTANCE? Before we show up at your doorstep, we try our best to figure out all the issues you present to us. At times your appliance might be facing a small issue like being loose or any other simple issue. When you explain to us, we will give some troubleshooting solutions that may help you fix your appliance at that particular time. however, if your appliance is facing complex issues, we will handle them for you. Most of the time we give our clients these troubleshooting solutions to save them the stress of paying for unnecessary repairs that they can handle on their own. In case you have questions, you can visit our Refrigerator Repair FAQ page. We have compiled all the commonly asked questions and provided them with all the answers. However, if you feel like your questions are not answered, call us and we will sort you out. We never talk to our clients about the appliances that get damaged easily than others because everyone has their own taste when it comes to the kind of brand they want to buy. However, we will not fail to recommend you to the brands that are reliable and you can highly depend on them. ​Bosch, Gaggenau, Frigidaire, U-line, and Marvel among other brands. We service all kinds of appliances found in your home starting from the kitchen, laundry room, to the garage. 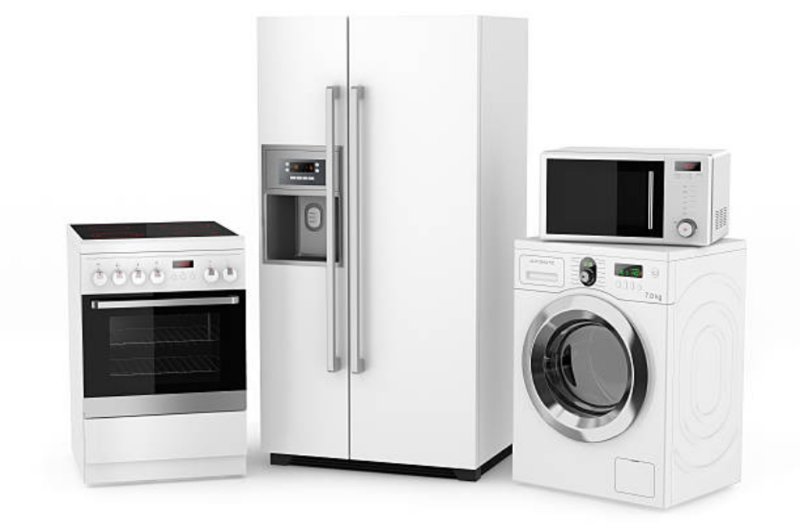 We don't choose the size of the appliance to services; we repair both small and large appliances. WILL YOU COME TO MY HOME FOR APPLIANCE REPAIR? We do not require our customers to deliver their appliances to our company for servicing. We come to you whenever you call us for our services. Again, we make sure that we repair your appliance within the same day and if not, we will schedule our visit as soon as possible. Marietta Appliance Repair Company opens at 8 am in the morning and closes at 5 pm in the evening. We are also available online throughout the day. In case you fail to get a response immediately, we assure you that you will hear from within 12 hours. CAN YOU PROVIDE TIPS FOR APPLIANCE REPAIR? Find out from our FAQ. We have provided you with all the details about each and every appliance that we repair daily. You will also find out that most of those tips are things you can actually handle on your own. Each appliance has its own FAQ page that is detailed with all the information about them.